Christmas is almost here, and it is important for companies to get their warehouses ready on time and make sure that safety measures are put in place for all their workers. 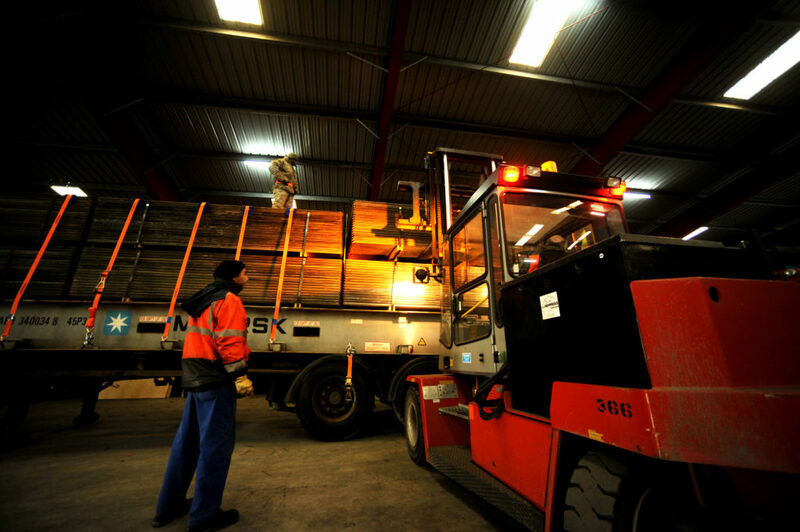 As a company, there are some improvements you can make to increase the safety and efficiency of your warehouse. Statistically speaking, Christmas is the busiest time of the year for a lot of businesses. Therefore, all areas need to be operating very efficiently and effectively to lessen operating costs, increase sales, generate more revenue, and lower stress levels. In this article, we show you some ways you can ensure your warehouse is ready for the busy days ahead. To make sure that your company has proper stock replacement, you need to review the sales information from previous years. By so doing, you will get a view of the stock popularity and therefore know how to avoid shortage of stock and increase efficiency. You should take advantage of the space available in your warehouse in preparation for extra stock and inventory. Shelving is a great way to do so, as the stock is kept off the ground and congestion is reduced. Moreover, you can use steel partitions to divide up and zone your goods into separate areas. The last thing you want to happen during the busy Christmas season is for the systems to go down or equipment to fail. You are required by law to maintain equipment like forklifts, conveyor belts, ladders, and racks and inspect them regularly. Regular inspections will ensure that your employees stay safe as they handle the equipment and will also enhance efficiency during the busiest period of the year. Due to the insurgent amount of inventory during the holiday season, organising the equipment needed for handling and transferring stock is paramount prior to the increase in business activities. By preparing beforehand and having sufficient equipment, efficiency and safety will be improved. Employees trying to lift heavy goods manually can injure themselves and cause the business significant losses. Most companies tend to hire more employees during the holiday season because of increased demand for goods and services. To avoid any future holdups due to shortage of workers, you may need to acquire the assistance of a staff recruitment agency in advance to make sure you have some temporary employees to help you meet the rising demand. Make sure that all your workers, whether part- or full-time, are provided with some health and safety training to protect them against any potential hazards associated with the job they will be doing. Perhaps the easiest and fastest way to communicate and remind your staff about safety concerns is by using signs. Signage must be in line with the required Health and Safety Compliance, and should be utilised all year round, not only during the holiday season. The Occupational Safety and Health Administration (OSHA) mandates all employers to display proper signs across the workplace to guard the staff, clients and stock. You should revisit your warehouse and make sure that all the signs are properly placed, readable, and clearly visible in the midst of the extra inventory. Whether you need to warn passersby about possible dangers, motivate staff to maintain a clean and safe warehouse, assert important instructions or show the emergency exits, all of these signs and more are readily available on the market. It is important to encourage the use of protective wear in warehouses to enhance the safety of the employees. High visibility vests should be used in the warehouse by both the workers and any visitors. The law requires all companies to provide high-quality protective wear for employees depending on the work that is being carried out. During this busy season, protective wear is vital. To be able to have a competitive edge, you should opt to utilise inventory software as well as warehouse management systems so that your operations run smoothly. Mismanaged inventories may lead to financial issues, so ensure that you are in a position to properly track your inventory, monitor your staff, and respond to orders. Without a doubt, stationery helps you to organise your stock. For example, industrial pens are a cheap and simple way for employers to organise and send messages within the warehouse. Colour coding, filing, recording, highlighting, using sticky notes, labelling, and binding can help in improving the general organisation of your warehouse. The holiday season is usually a busy time for a lot of businesses. If you operate a warehouse, you will need to ensure that you put these measures into place to ensure that it is ready for Christmas. Efficiency and employee safety are important considerations when preparing your warehouse. Follow the steps stated above, and you will be ready for great work over the festive period!